From over Caponniere view of right re-entrant Place d'Armes. Item is a photograph of the right re-entrant Place d'Armes toward right face, looking Northeast. 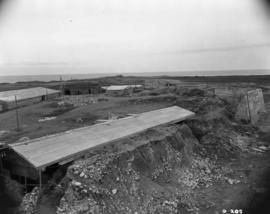 Item is a photograph of the right re-entrant Place d'Armes from over Casemate R7, looking Southeast. 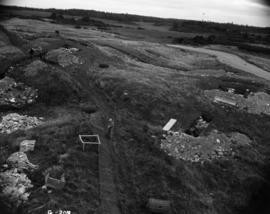 Item is a photograph of the right re-entrant Place d'Armes from over Casemate R7, looking Southwest and South.